Industrial-metal project Circle of Dust kicks off 2018 with a brand new remix of 'Contagion' from the project's 5th full-length album, 'Machines of Our Disgrace'. Bridging the gap between thrash metal and heavy electronic bass, this wicked remix of 'Contagion' by Sebastian Komor gives the track new life. Experience glitchy vocals and revamped guitars, while still head banging to the industrial overtones. You can get 'Contagion HERE. As Klayton began planning the remastering and re-release of the original albums, a new idea began to grow. He decided to not only re-release each album, but to fully resurrect the project and create a new full-length Circle of Dust album, released December 2016. 'Machines of Our Disgrace' marks the 5th full-length studio album for industrial music pioneer Circle of Dust, after a near 20 year hiatus. 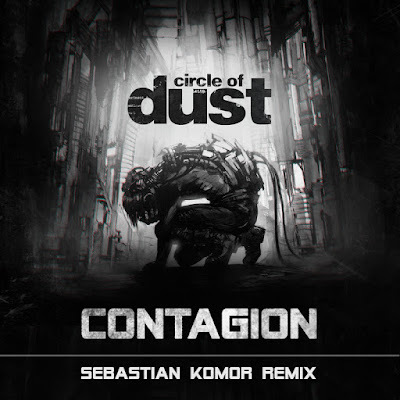 Created by artist/producer Klayton, best known for his multi-genre project Celldweller, Circle of Dust returns to Klayton’s industrial roots with metal riffs, pulsing electronics and catchy songwriting.